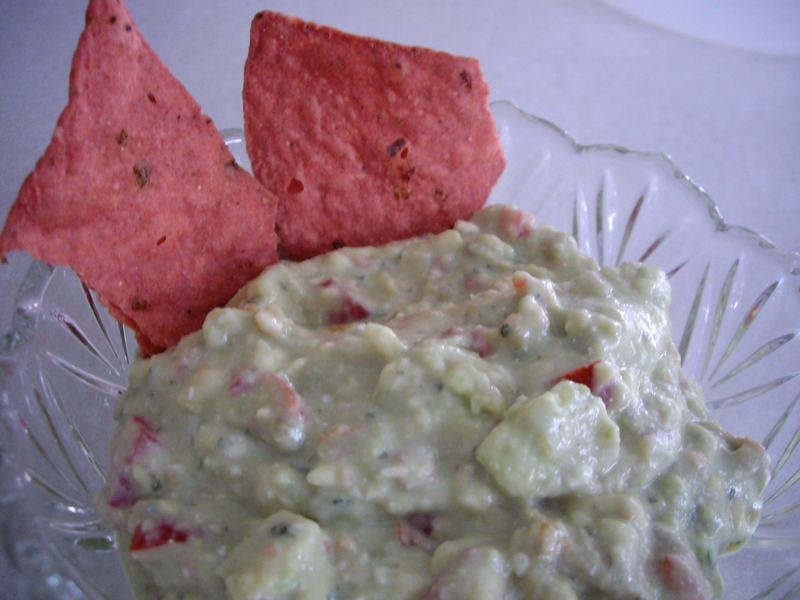 avocados | What's Cooking at the Genua's? Shrimp salad always reminds me of summertime, the seashore, the beach and a quick easy salad that is delicious. This version adds a little twist, the twist being avocado. It is also a salad without all the mayonnaise, and that means fewer calories. A great light summer delight for lunch or a light dinner with a sandwich or even cup of chowder! This recipe serves 6 but if you want to make it for less people cut it in half. Avocados are so good for us with their good fats and along with the rest of the salad we’re eating much healthier, which is a good thing! 1. 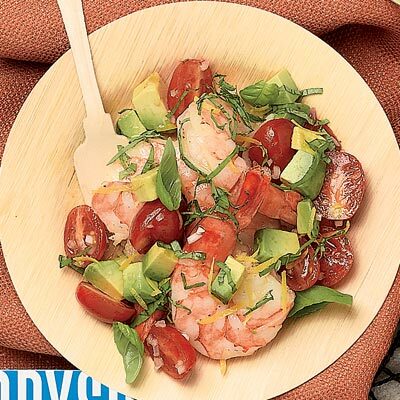 In a large bowl, combine the shrimp, tomatoes, avocados, shallot and basil. 2. In another bowl, whisk together the lemon peel, lemon juice, garlic and vinegar. Season with salt and pepper. 3. Slowly pour in the olive oil whisking constantly until combined. Pour the dressing over the shrimp and serve. Like most of our local supermarkets we can usually get any kind of fruit or vegetable year round. Transportation improvements and storage facilities have aided in this. But if you want to get the most nutritional value and flavor from a fruit or vegetable it’s best to choose at the peak of their freshness. But what is fresh at what time of the year? I know when I lived in New York strawberry season was usually at its peak in June. But here in Florida it’s March and April. Different regions of the country have different growing seasons therefore some peaks of freshness may vary. I have put together a list of fruits and vegetables and when the best time is to enjoy them at their best! It’s a big list so I am going to break the list down to two posts. I hope this information helps out when you’re shopping. Another thing when you are buying items at their peak they are usually the best price as well. So keep that in mind as well! This list will tell you which months are best for the freshest products and also what to look for when choosing your produce. Apples: September-May: Look for good color; firm to touch. Avoid those that are soft & mealy. Apricots: June-July: Should be golden-yellow; plump; firm. Avoid pale yellow or green, very hard or soft, shriveled and wilted ones. Avocados: All Year: They should yield to gentle pressure; vary in size, shape and color from green to black. Brown markings on skin do not lower quality. Bananas: All Year: They should be firm; yellow touched with green. If needed, ripen at room temperature. Blueberries: June-August: Should be firm; plump; full-colored; bright, clean, fresh appearance. Cranberries: September-December: Should be firm; plump; full-colored; bright, clean, fresh appearance. 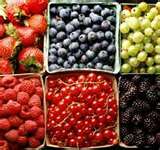 Strawberries: March-July/June-August: Should be firm; plump; full-colored; bright, clean, fresh appearance. Only strawberries should have hull (stem cap) attached when mature. Cherries: May-June: Should have a fresh appearance; firm; good size for type of cherry. Coconuts: September-March: Should be good weight for the size; milk inside still fluid. If no milk, coconuts are spoiled. Avoid ones with moldy or wet-looking eyes. Figs: July-September: Should be fairly soft to touch. Use at once, spoils quickly. Sour odor indicates overripe fruit. Grapefruit: October-June: Should be firm; well-rounded; heavy for the size; smooth textured. Avoid coarse, puffy, rough-skinned fruit. Grapes: June- December: Should be fairly soft; tender; plump. Well-formed clusters with green, pliable stems. Darker varieties are free of green tinge; green grapes have a slight amber blush. Kiwi: June-August: Should be soft to the touch, like avocados. Sometimes called Chinese gooseberries. Lemons: All Year: Should be fairly firm; smooth and glossy-skinned; heavy for size. Limes: May-October: Should be heavy for size. Green variety are more acidic than yellow. Mangoes: April-August: Should be solid and not too soft to touch. Can vary in size from a plum to an apple and in color from yellow to red. Smooth skin often speckled with black. Green mangoes are sometimes used in cooking. Cantaloupes: May-September- The color and aroma are best guides. Delicate aroma; thick netting that stands out; yellow-tinged skin under the netting. No evidence of stem at blossom end. Casabas: July-October: Buttery-yellow, wrinkled rinds, lengthwise furrows. Crenshaws: July-October: Yellow-gold rind; pleasant aroma. Honeydews: February-October: Creamy, yellow rinds; pleasant aroma. Persians: July-October: Thick webbing; gray-green to brown skin under webbing. Watermelons: May-August: Dull surfaces with cream-colored undersides; symmetrical shape. Nectarines/Peaches: June-September: Should be plump; fairly firm depending on type. Skin color white or yellow with a red blush. Oranges: November-June: Should be heavy for size; firm; skins not too rough. Papayas: All Year: Should be greenish-yellow to full yellow in color; flesh gives slightly when fruit pressed in palm of hand. Pears: August-May: Should yield to gentle pressure at stem end. Color ranges from creamy yellow to russet. Ripen at room temperature. Pineapples: February-August: Should have “piney” aroma; golden-yellow; slightly soft. Ripe when leaf is easily removed. Green fruit may not ripen properly. Over-mature fruit may show soft-watery darker spots on the base or sides. Plums: June-September: Should be plump; full-covered, soft enough to yield to slight pressure. Softening at tip is usually a sign that fruit is mature. Avoid shriveled and hard plums. Pomegranates: September-November: Should be thin-skinned; bright purple-red; looks fresh. Tangerines/Tangelos: November-January/January-October: Should be deep orange or yellow; glossy skin. Loose skin. Overripe fruit has puffy, dry skin. **Coming Next Week: Vegetable Peak Months!